Are you in the market for an exceptional SUV that is great on gas and rich in features? 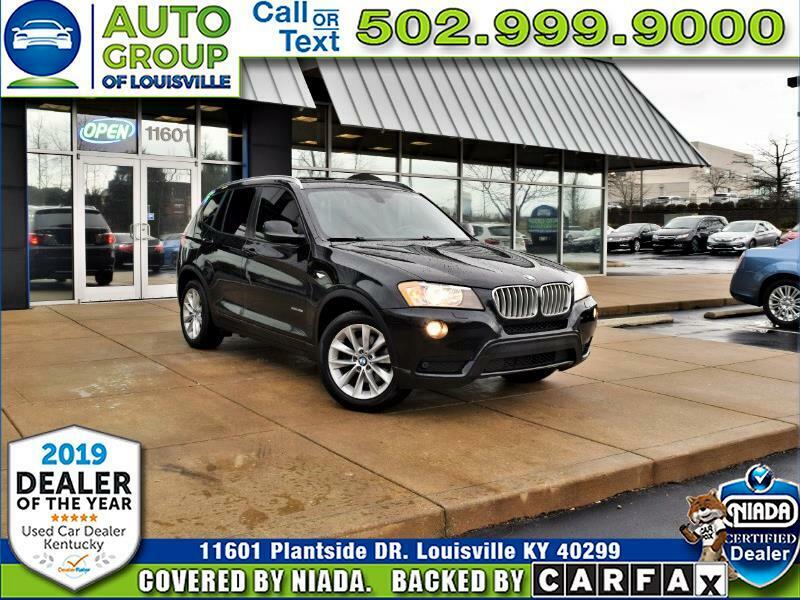 Look no further than this awesome 2014 BMW X3 xDrive28i that just arrived here at Auto Group of Louisville! This fantastic BMW is well loaded with great features like the Premium Package (includes the panoramic sunroof (xDrive28i), keyless ignition/entry, leather upholstery, four-way lumbar support for the front seats, satellite radio, cargo area nets and tie-down points), Driver Assist Package (adds front and rear parking sensors and a rearview camera), Cold Weather Package (includes heated front seats, a heated steering wheel and heated rear seats), Navigation, iDrive Informant System, Bluetooth, and much more. Hurry by 11601 Plantside Drive in Historic Jeffersontown Kentucky and let one of our Great, Friendly, Knowledgeable Customer Care Specialist show you this exceptional X3 today!